The Hawksbill turtle has a strikingly beautiful shell that has enchanted nature and animal lovers across the world. Unfortunately, the turtle’s shell also appeals to poachers who target the species to sell tourist trinkets. The Hawksbill turtle is currently listed as Critically Endangered by the IUCN Red List, the most dire classification before Extinct in the Wild. The largest threat to the species is the tortoiseshell trade. The Hawksbill turtle is coveted for its shell which is made up of scales shaded with hues of gold, amber and brown. The scales are taken off the turtles and crafted into items such as combs, jewelry and sunglasses. Hawksbill turtle populations are estimated to have plummeted 90% in the past century. As the turtles struggles to cope with intense poaching for their shells, they are also subject to poaching for their eggs and meat, habitat destruction and entanglement and ingestion of marine debris. The Hawksbill turtle has long been targeted for its shell. Tortoiseshell jewelry has dated as far back as ancient Egypt and has continued until modern day. Recognizing the threats to the Hawksbill turtle, the species was placed on Appendix I of the Convention on International Trade in Endangered Species of Wild Fauna and Flora (CITES) in 1977, prohibiting international commercial trade. When Japan, a major market for tortoiseshell products, joined CITES in 1980 they took exception to the prohibition and imported Hawksbill shells. Tortoiseshell products, called bekko in Japan, have historically been in high demand in the country as many consider them cultural items. In 1993, Japan gave into international pressure and stopped importing Hawksbill shells although illegal imports are still a concern. 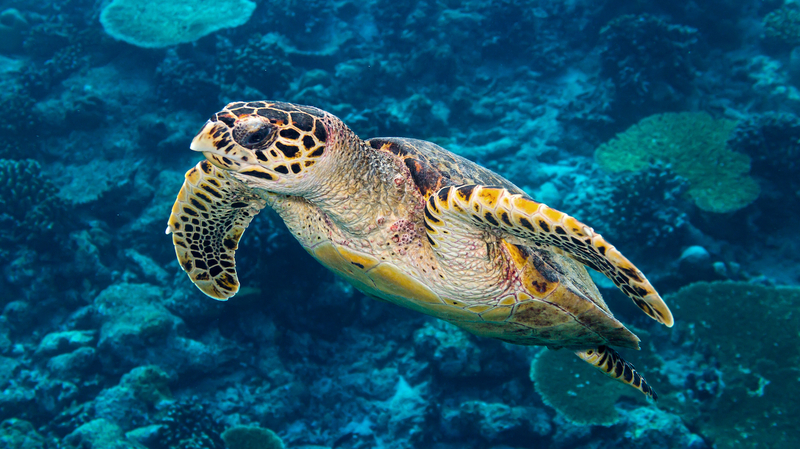 Despite international and national laws protecting Hawksbill turtles, the trade is wide-scale. The campaign Too Rare to Wear, which works to end demand for turtle products, examined the Hawksbill tortoiseshell trade in Latin America and the Caribbean. Overall, researchers found over 10,000 tortoiseshell products for sale. The products were readily available to tourists in almost one-third of surveyed shops. Nicaragua had the highest number of stores selling tortoiseshell products, followed by Honduras and Cuba. Part of the reason the tortoiseshell trade is so rampant is because the products can be attractive to travelers. The tortoiseshell pattern is well recognized and products can sell for less than one dollar, making them an easy trinket to bring home. While travelers likely know to forgo on buying ivory and rhino horn products, they may be in the dark about the tortoiseshell trade. A 2016 WildAid poll conducted by KRC Research found that Americans were aware of the trade of charismatic species such as elephants, rhinos and tigers but knew less about the trafficking of bird, reptile and marine species. 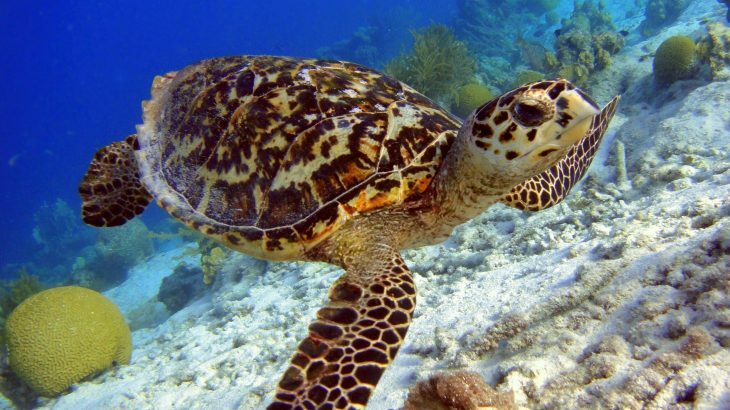 This lack of awareness can put travelers in a bind if they are caught importing Hawksbill products into countries where the products are illegal, such as the United States which protects sea turtles under the Endangered Species Act. Sea turtle products are one of the most commonly confiscated wildlife items by U.S. officials. To this end, Too Rare to Wear is working to educate consumers on the plight of the Hawksbill turtle and alternative souvenirs such as coconut shell jewelry. In addition, conservation groups are working directly with local communities to involve them in ecotourism which can incentivize sea turtle conservation. Forensic advances can also play a role in curtailing Hawksbill turtle poaching. Last year, World Wildlife Fund and the National Oceanic and Atmospheric Administration began a project to trace the tortoiseshell trade using DNA testing of products and live turtles, The Guardian reports. The results of the DNA testing will help researchers identify where the turtle products originated in order to guide future conservation efforts. Travelers can do their part by reporting any tortoiseshell products they have found for sale on Too Rare to Wear’s website. Mostly important, travelers should refuse to buy products they believe are made from Hawksbill turtles.